Francois van Coke gave Karlien van Jaarsveld's 'Geskeurde Jeans' a rock makeover - and it's a must watch! 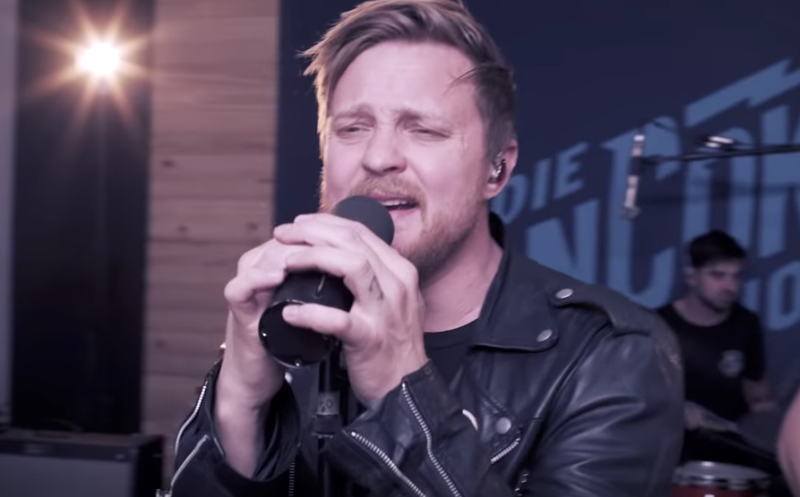 Francois van Coke performing 'Geskeurde Jeans' / Youtube. Francois van Coke keeps amazing us. The 'Toe vind ek jou' hitmaker has added 'TV host' to his CV. Francois is currently host of his very own Afrikaans TV show, 'Die Van Coke Show', on kykNET. In Monday's episode, Francois was joined by actress Kim Cloete, Kurt Darren, Beer Adriaanse, and Hannes Brümmer. The singer ended off the episode with a special rock version of Karlien van Jaarsveld's 'Geskeurde Jeans' - and we just love it! The show is a mix of game and talk show where everybody will be frantically and hilariously competing to win absolutely nothing. Along with some of the country's funniest and most famous faces, Francois will take the mickey out of our big old crazy world. What do you think of Francois' rendition? Comment below.